"Greyhound racing has run its course in Arizona ... it's heartening that these beautiful greyhounds will soon be off the track and in loving homes." We led the fight to prohibit dog racing in Arizona, Colorado, Massachusetts, New Hampshire and Rhode Island. 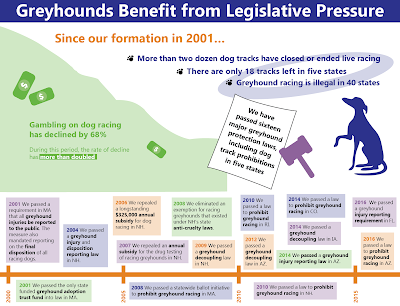 We helped eliminate a state mandate for greyhound racing in Iowa and reduced dog track subsidies in West Virginia. 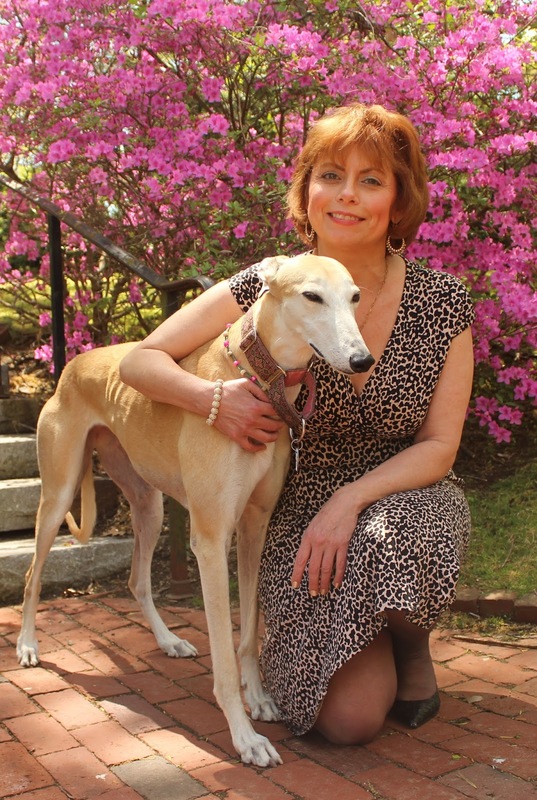 We helped pass a greyhound injury reporting requirement in Florida and worked with Massachusetts lawmakers to pass the only state-funded greyhound adoption trust fund in history. This program provided millions in funding to help dogs find loving homes. The strategy we have utilized to achieve these victories is surprisingly simple. First, we deeply research the greyhound racing industry, with the goal of understanding it better than it understands itself. Next, we provide accurate information to lawmakers, members of the media, and the general public. Finally, we engage in the legislative process and ask lawmakers to make humane choices for the dogs. This compassionate plan of action is having an impact. Since our formation thirty-one dog tracks have closed or ended live racing in the United States, and gambling on greyhound racing has dropped by 68%. The rate of industry collapse has more than doubled compared to the years before GREY2K USA Worldwide existed. We are fortunate to live in a vibrant democracy, a system that allows citizens to bring about change and fight injustice. The process isn't easy. It requires tenacity and a willingness to challenge obstacles that appear immovable. Our slow march towards the end of greyhound cruelty, however, proves that everyday people can bring about real change.